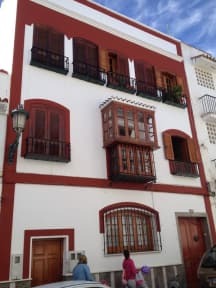 The Hostel property is located just down the street from the Guesthouse (Hostal Bronce) and is its own beautiful Andalucian style building with four floors offering two 6 bedroom dorms, one 8 bedroom dorm, two double bed rooms, and one full bed private room. 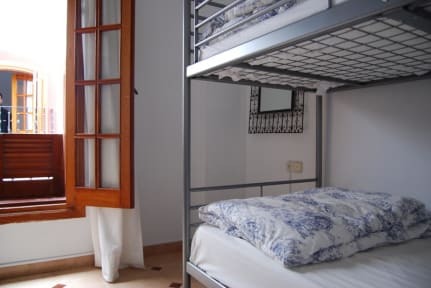 The Hostel also has two kitchens, two common rooms, and an open terrace with free wifi located throughout. If you are looking for an amazing experience and to meet people from around the globe (summer time is the best) then this is the place to be! Paddle surfing, Cliff Jumping, River Trek, and a scenic Trek to the Maro caves and beach. Tapa's Tours during the week and on the weekends our Top Shelf Pub Crawls where you are destined to meet someone. 200 meters from the town bus stop and 50 meters from local beaches, Play El Salon or Playa Calahonda, and the amazing 360 view at Balcon De Europa. Non smoking. Permitted only on terrace. Secure lockers and padlocks for rent.